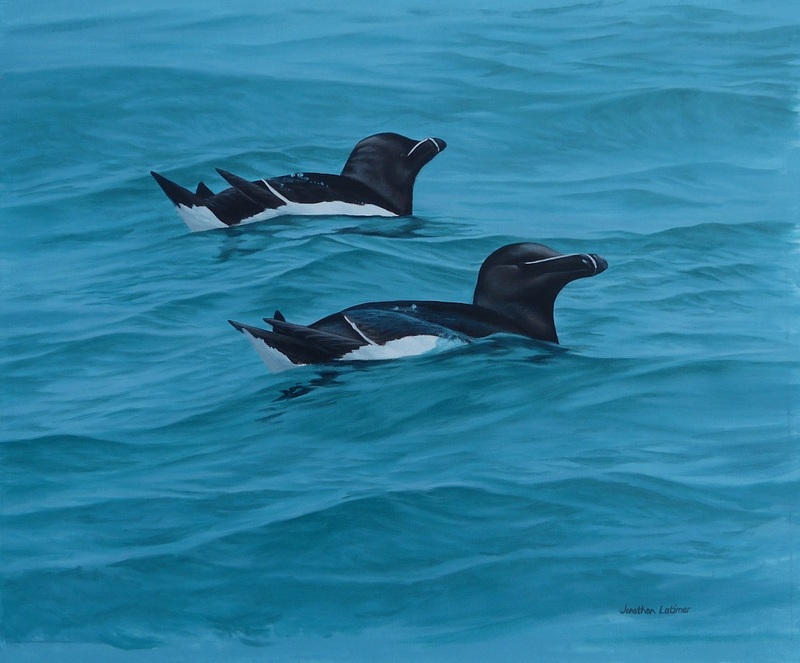 Original artwork showing a pair of Razorbills on the sea. 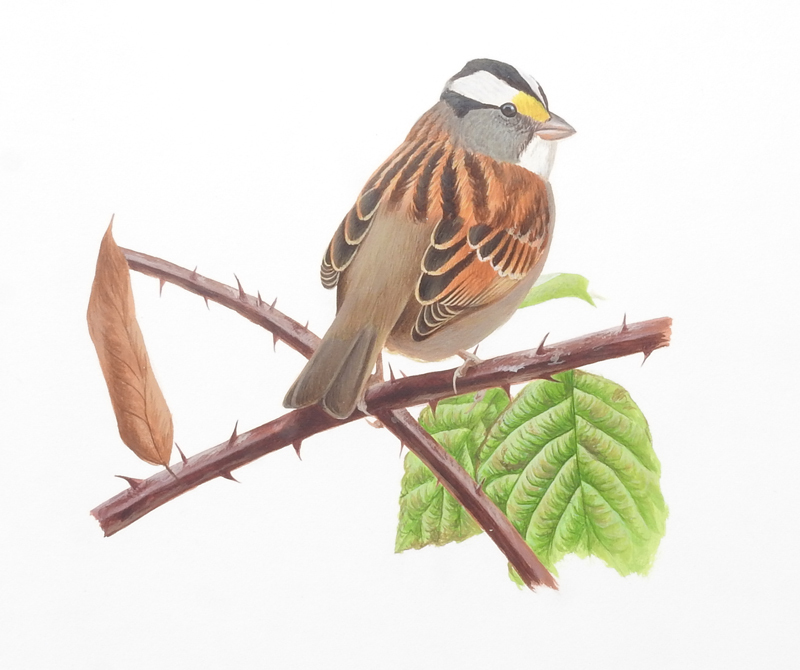 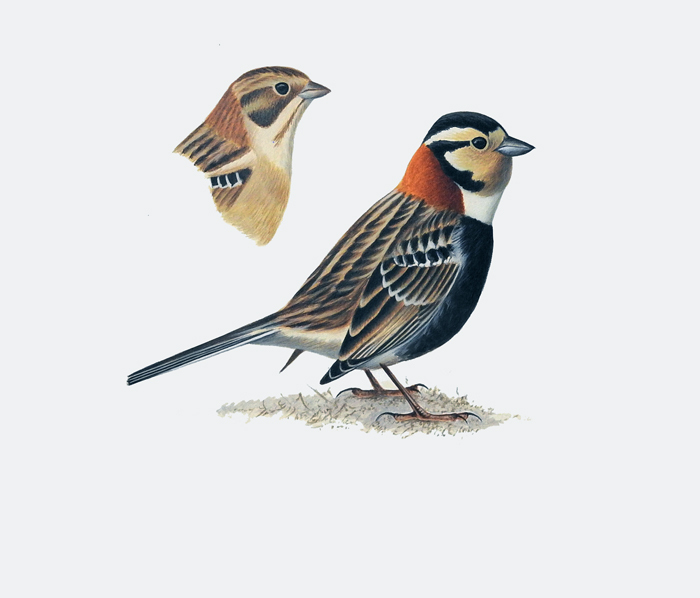 Most images of these beautiful birds feature them on their typical rock ledge habitat, where the return to breed each Spring along many of our coastlines in Britain. 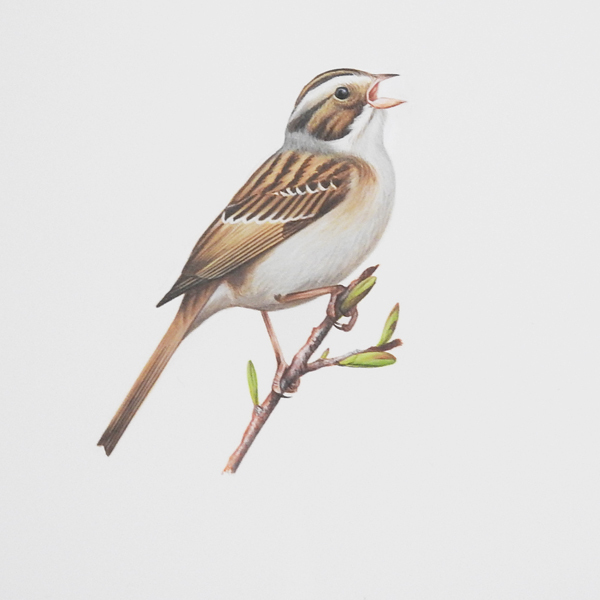 In Shetland, as well as in some other wildlife hotspots, it is possible to take boat tours near their nesting cliffs, and it was on one such of these organised trips that I was treated to fantastic views of these birds in their marine environment.